Ruby red colour; plummy fruit nose with hints of leather, tar and anise; dry, with light berry and plummy fruit flavours with pronounced acidity and a clean, short finish; low tannins. Pale lemon yellow with green tint; green apple & mineral aroma & taste; slight spritz, light body clean, slightly tart grapefruit finish. Soave means soft in Italian, and this wine stays true to that name. The nose is soft with notes of yellow apple and pear while the palate is dry with flavours of baked apple, pear, and a touch of lemon; light bodied and refreshing it finishes with a cleansing note of peach. Clear pale salmon pink; light apple, pear, floral and tropical fruit aromas; off-dry, crisp and light-bodied with strawberry and rhubarb flavors. This is a Pinot Grigio with a fresh, clean fragrance that is followed by a crisp, refreshing flavor with hints of citrus fruits. Well-structured and sophisticated. Pale straw color; citrus and apple fruit aromas and flavors; light-bodied, clean and crisp with a hint of almond in the finish. Pale straw colour; mineral, pear and citrus aromas and flavours with nutty notes; light and crisp with a clean finish. Brilliant, clear yellow with a hint of green. Delicate aroma, fresh and fruity, medium bodied and well balanced. This refreshing wine has a citrine color and a clear appearance with a very delicate and slightly fruity aroma. On the palate this is a fresh, smooth and well-balanced wine. The steep and sun-drenched hills in the heart of Piedmont are an ideal growing environment and habitat that would enable Moscato to become one of the world's most famous wines. The cool, fresh sensation of glass of Martini Asti, with its fragrance and low alcohol content, always allows the freedom of another toast. Brilliant straw yellow with fine, persistent perlage, fruity aromas of peach, apple, pear and citrus fruit; the palate gracefully balances zesty acidity and a subtle hint of sweetness; a rich and silky-smooth texture. The Bellini cocktail is composed of two parts sparkling wine, one part white peach juice, and pulp from select, perfectly ripe peaches and a few drops of wild raspberry. Its natural ingredients are grown in the Venetian countryside; the delicate white peaches are handpicked when the fruit is perfectly ripe, so as to maximize the concentration of sugar and aromas. A classic aperitif, its inebriating peach fragrance is best enjoyed quite cool, even slightly chilled. Deep ruby red color, aromas of ripe red cherries and spice, the palate is extra dry, full-bodied with dominating flavors of cherries, red berry fruit and a nice backbone of spice. Tannins are soft and the finish is medium. Clear ruby red color, cherry, cloves, leather & cedar on the nose, ripe cherry flavor balanced by tart acidity and a long finish. In some ways (and somewhat counterintuitively) a modern Chianti Classico, this wine is 80% Sangiovese with about 15% Merlot and 5% Cabernet Sauvignon. Spice box, violet, cherry, raspberry and smoke paint a vivid aromatic picture. The wine is youthful and structured, with dark cherry and blackberry flavours paving the way for a firm finish. Pair with steak Florentine or a selection of firmer cheeses. Ruby red colour; light cherry and spice aromas; light bodied with soft berry flavours. Purple/red colour; aromas and flavours of red berry and cherry fruit, spicy notes & a touch of pepper; dry, medium body, with balanced tannin on a gently firm finish. Bright ruby color, cherry, plum, spice, and leather notes on the nose; dry, medium to full-bodied, tart cherry and plum flavors with hints of cedar, firm tannins and a long spicy finish. 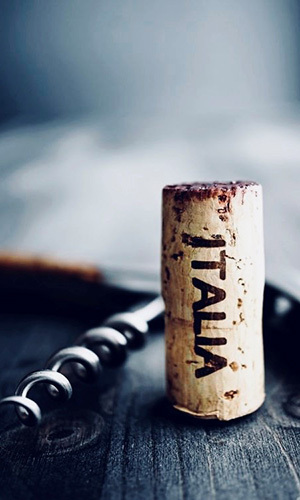 Sangiovese-dominant, this wine is balanced by Cabernet Sauvignon, Merlot and Syrah, yielding youthful flavours of black cherry, red cherry, mint, chocolate and spice. Supple and balanced, it’s medium- to full-bodied on the palate together with integrated tannins and juicy acidity. Pairs classically with Tuscan-style cuisine. Ruby red colour; plum, cherry, licorice and spice aromas; dry, with well balanced acidity, firm tannic backbone, full fruit flavours, long fruit and oak finish. The complex bouquet of this full-bodied red is warm and inviting, harmoniously combining aromas of dried fruit, wood, truffles, venison and spice. On the palate, it is surprisingly soft on the first sip, but strong tannins lead to a powerful finish. This was the first Sangiovese to be aged in barriques, the first red wine to be blended with non-traditional varieties (like Cabernet) and one of the first Chianti reds not to use white grapes. Tignanello is a milestone. It is made from a selection of Sangiovese, Cabernet Sauvignon and Cabernet Franc. 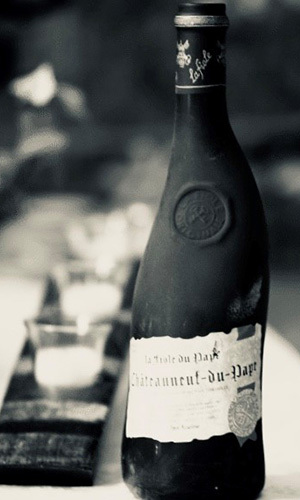 The wine is aged in barriques for about 12 months and for a further 12 months in the bottles. 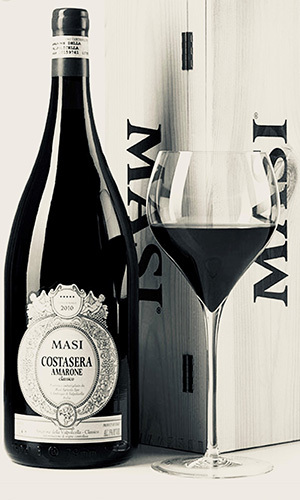 Made entirely from Sangiovese, it's elegant and refined with plenty of red cherry fruit, firm tannins, an attractive earthiness and a touch of oak. A hint of bitter chocolate on the finish here is classic Tuscany. A rich and pleasurable wine on the nose with notes of sweet spices, toasted coffee, and ripe red berry fruit. The wine is elegant and balanced on the palate with good length and a highly pleasurable fruity finish and aftertaste. Fragrant, with mesquite smoke and oak spice notes, this lush, modern-style red layers, supple, sculpted tannins with flavors of crème de cassis, blueberry puree, espresso and melted licorice. Lightly juicy and medium- to full-bodied, this ripples across the palate and lingers on the lasting finish. This vintage is notable for its radiant fresh fruit and intense colour. On the palate the smooth and silky tannins combine with a vibrant acidity to offer a very pleasurable and inviting experience. 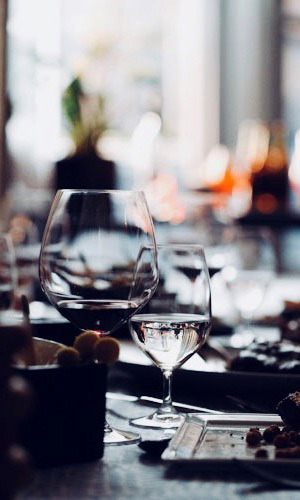 Raising the glass to one’s lips, the typical fragrances of Brunello arrive directly at one’s nose: fruit, blackberries, currants, and cherries. A full and compelling flavor, the typical wine of Montalcino is the ideal pairing for aged cheeses, steaks and ribs.